Alan and Jon had a Saga game. FOGN - Kendall's 1815 Prussians beat Brett's 1796 French. There were several Flames of War games involving Lee, Rob and Steve. FoW - Rob (Canadian Armour) versus Lyndon (US Paras) - Lyndon won. FoW - Gervais played Steve. FOGN - Another campaign game between Alan (Prussians) and Kit (French). A severe defeat for the Prussians who are now in retreat to Berlin. FOG-N campaign game between Andrew and Mike. The Russians and Austrians are lucky to escape defeat by the French under Napoleon! Warhammer - Dan and Rob had a game with Skaven (with misbehaving technology) and Chaos. FOGN - One campaign battle and two friendly games at the club today. Mike's Ottoman Turks defeated Kendall's 1815 Prussians. Andrew's 1813 multinational Corps took on Al's Peninsular British (using his Natcon list). In the campaign game, Kit's French corps under Ney fought well but was ultimately overwhelmed by Philip and Stu's Austrians and Russians. Steve (Soviets) played Lee (Germans) in Flames of War. DBMM 25mm: Al (Spartans and Syracusans) played Philip (Saite Egyptians with Athenian allies). A winning draw to the Spartans who had beaten two Egyptian commands for the loss of one of their own. 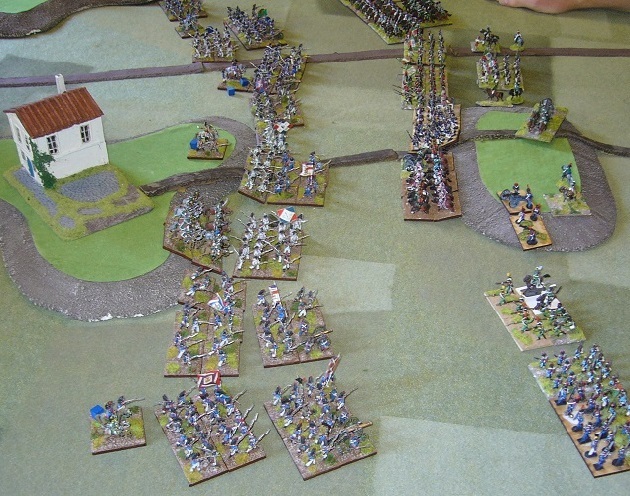 FOGN: Kendall's Prussians under Blucher took on Kit's French under Ney in the first battle of the 1813 campaign. Neither side were heavily committed, but the French retired after the battle. Steve played Mike in a Flames of War game. FoW: Lee, Rob, Steve and Gervais played a few games. Three Napoleonics games at the club today, all finishing with pretty decisive wins. Mike's Turks were used for the first time, getting a 30-10 win over Philip's French Army of the Orient. Al's British also got a 30-10 victory against Brett's Austrians. Shaun's 1812 French with Austrian allies put up a better fight, holding on for a bit longer but ultimately losing 40-20 to Kit's British 1815 army. The NSWC made up most of the FOG-N competition of 8 players, with Kit and Al picking up 2nd and 3rd place. The French army painted by Andrew for Keith got the Best Painted Army prize. Mike and Robbie were in the Flames of War late war competition, coming 2nd and 3rd respectivly out of field of 24 competitors. They came back with a good haul of Battlefront roads and rivers amongst their prizes. 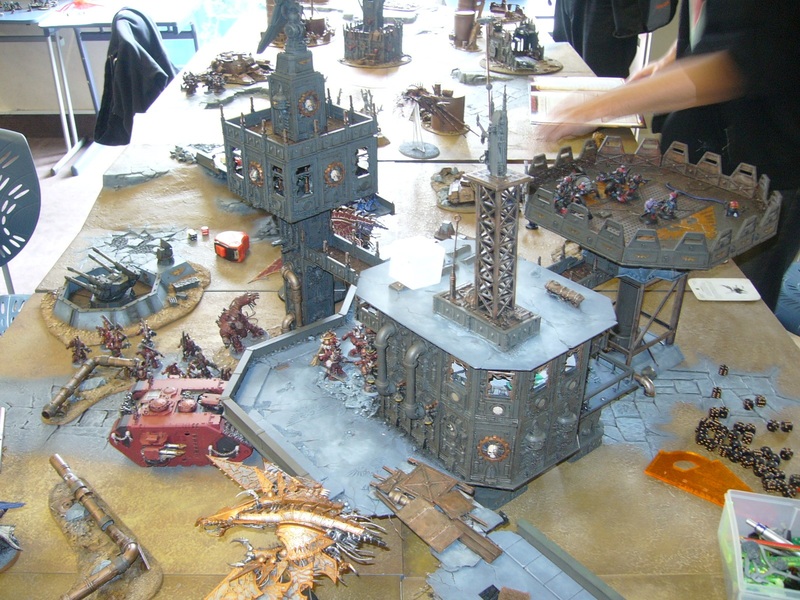 Other events at NatCon included Warhammer Fantasy Battle (18 players), 40K (11), Warmachine (22) and 25mm DBMM (10). There were also some Malifaux games, and demos of Dux Bellorum, 25mm modern skirmish, and 25mm Malburians. 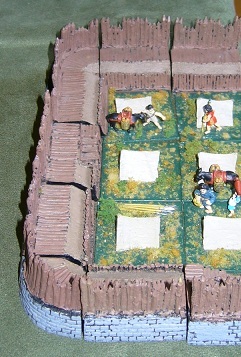 The Best Painted Army in the Napoleonics competition was Keith Marshall's 1812 French, painted by Andrew Hunter. The prize was awarded by the votes of all the players in the competition. Two of the most impressive Flames of War armies - the German armoured train, and the Warsaw uprising. Just a couple of games at the club today. Alan and Rob had a Warhammer game, using Brettonians and Empire. Both armies and terrain were looking good! 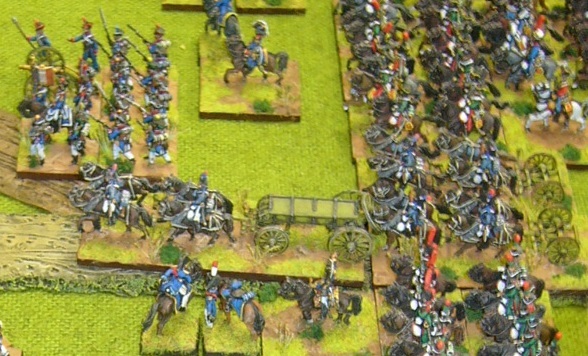 Kit and Philip had a FOG-N game using 1815 British and Netherlands armies. A good win for the Dutch Reserve Corps. There's going to be a good turnout for the NSWC at the Nationals next week, making up most of the Napoleonics competition and also a couple in FOW. FoG-N. Andrew's Italians defeated Brett's new revolutionary French army (or Lee's old army). FoF-N. Al's peninsular British defeated Philip's 1815 Netherlands army. FOW. Two WWII games - Kit v Mike, and Rob (Afrika Korps) v Steve (Soviets). WHFB. Alan's Brettonians took on Dan's Skaven. FoG-AM 15mm. Michael's Koreans defeated Alan's Principate Romans. FoG-N. The only Napoleonics at the club today was Kendall's solo practice game using Russians and Prussians, with the occasional intervention of Al, Kit, and other passers by. Flames of War. Steve and Lee had two games, Soviet Cossacks v German, and then a German v German training game. There was a good turnout from the club at BattleCry with players involved in Napoleonics, Flames of War, and Moderns. Steve came 2nd in the Flames of war late war competition organised by Kit. Andrew won the Napoleonics competition, and Philip was 3rd. Unmistakable signs of an approaching convention - lots of training games on today getting ready for BattleCry next weekend. Rob had a couple of Flames of War games, against Lyndon and Steve. There were four Napoleonics games: Al (British) v Kendall (Russians); Alan (Westphalians) v Michael (British); Andrew (Russians) v Brett (Austrians); Benny (French) v Philip (Netherlands). Dan and Matt had a couple more games of 20mm WWII using the Bolt Action rules. It was a particularly quiet day at the club today. Just the one game, with two players and four onlookers. Andrew and Brett were trying out some of the campaign rules for the Napoleonics campaign planned for later this year. 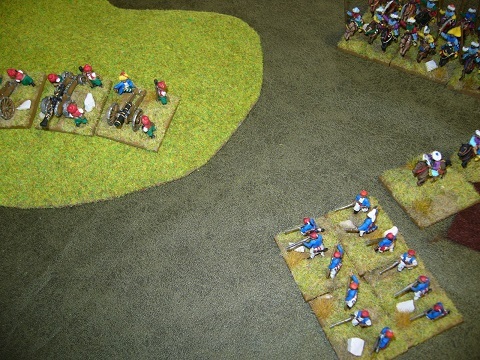 Andrew was using an Italian army against Brett's 1814 French. Andrew's flank march came on nice and early, saw off the French counter attack with little effort, and picked up a 30-10 win for almost no losses. Finishing the game with two fresh cavalry units, the Italians would have got a good pursuit in the campaign game. Good luck to our club members over in Canberra for The Worlds. Steve is playing in FOW, and Stu is in the DBR competition. Welcome back to the club for the New Year! The club hall was a typically hot summer day, with a good turnout at this meeting. DBMM 15mm. Steve got a comprehensive victory against Philip (Late Romans vs Mithridatic). Both sides had a cavalry wing with a lot of Kn, who didn't do much to each other. Meanwhile the Roman Bd and Wb did all the hard work to get the victory. FOG-N. Three games of Napoleonics today. Andrew H (Italians) beat Kit (1815 British) in a 1000 point game. Shortly after the British army broke we remembered the rule about Guards not testing for seeing non-Guards rout. Keith was trying out his newly painted French army against Brett's Austrians. It did rather well, winning the game for the loss of only 1 point from spent cavalry.